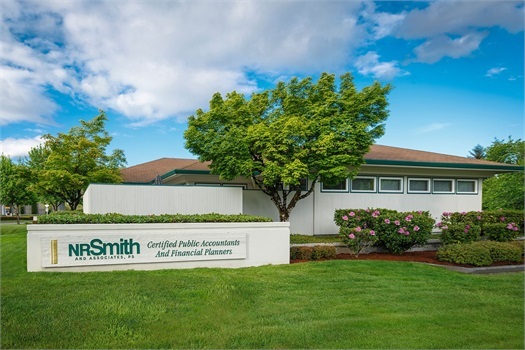 Welcome to NRSmith & Associates, a local business with an experienced staff of Certified Public Accountants, fee-only Certified Financial Planners and Personal Financial Specialists. We provide services for individuals, business owners, nonprofit organizations, and entrepreneurs who make our region diversified and successful. With a strong history of servicing the South Sound since our founding in 1941, combined with our integrated team with over 100 combined years of managing portfolios and accounting solutions, we are prepared to partner with you to build a successful financial outcome. We provide personalized one-on-one service that you would expect from an independent local firm while still providing all the resources and benefits of the large national firms. We focus on your needs and our team understands that you expect excellent service and objective advice. Please read through this website to see how you will benefit from the services we offer. We promise to be a partner that you can rely on for integrity, intelligent advice, great service, and value. Give us a call today to schedule your free initial consultation. Over 70+ years of history makes us well positioned to provide our clients with the tools they need to achieve their financial goals. Our firm provides robust services in Financial Planning, Accounting and Auditing, Business Services and Taxation. Want to learn more about retirement, investments, auditing or taxation? We have a wealth of resources.